Doing a Barnes and Noble run on Friday.. Any suggestions? I love love fiction. Hi. Doing a Barnes and Noble run on Friday.. Any suggestions? I love love fiction. Lucky you! (My closest bookstore is almost 2 hours away.) Any particular type? What are some of your favorite books/authors? Recently, I’ve enjoyed The Hating Game, Penny Reid’s Winston Bros books, Louise Penny’s Inspector Gamache books, and Ilona Andrews’ newest series. I have the same problem distance wise. Have you ever shopped online at ThriftBooks? Their used book selection is huge, each book is placed in a condition category, their prices (but never buy a new book) are incredible, and if you purchase over $10, the shipping is free. Catherine Jones Krause I do not own an electronic reader due to budgetary constrains. I do only order books from ThriftBooks in the “Like New” and “Very Good” category but that’s my personal preference. I’ve purchased some $30-$45 hardback cookbooks from the for about $4.19. I have quite a huge TBR pile from them. I’ve only ordered HB and PB, not MMPB but that’s due to the print size. Overall, I’ve been quite happy dealing with them. But I do miss physical bookstores – there is just something about them. And small independent book stores are unfortunately becoming an endangered species. Rae I’ve had good luck ordering used books too — only a couple have been too dirty and worn. I really miss my favorite used bookstore, though. Oh Laura I agree! That is one of my all time favorite books! I also liked Transatlantic and This Side of Brightness by him. The Chibury Ladies’ Choir. WW2 story around a group of women in a choir. The Muse. 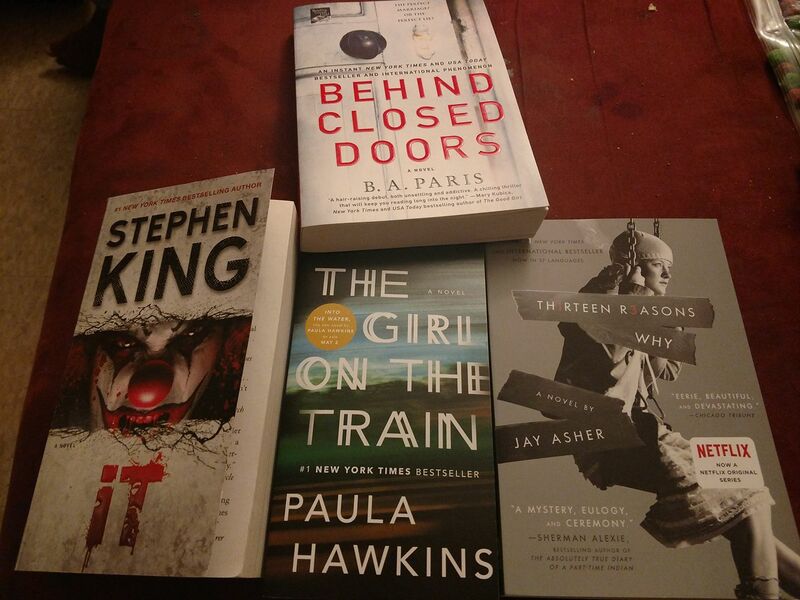 These are the books that I purchased from B&N today….